Point2 Homes gives you far more than a simple list of houses for sale. Get instant access to a lot of relevant information about Abbotsford, BC real estate, including property descriptions, virtual tours, maps and photos. The search results pages also have a wealth of information on Abbotsford, BC, if you scroll all the way down. There are 573 houses for sale in Abbotsford, BC. Searching homes for sale in Abbotsford, BC has never been more convenient. With Point2 Homes, you can easily browse through Abbotsford, BC single family homes for sale, townhomes, condos and commercial properties, and quickly get a general perspective of the real estate prices. Also, you’ll never miss a bargain if you filter listings based on house price drops in the past six months. Use the map view to find Abbotsford, BC homes and apartments for sale, based on amenities or city features that you may want close by. You can close in on a specific neighbourhood or area by simply drawing around them with the polygon or radius tools. Stay informed about the latest entries on the real estate market by saving your searches. This way, you get new listings in your inbox, daily or every week, based on your preferences. If you’d like to get in touch with a professional, agents are displayed next to their listings, and they’re easy to contact through the online forms. If you want more options, you can click the Tools tab and Find an Agent, and you’ll get a list of helpful and knowledgeable real estate agents in Abbotsford, BC. Visit the Point2 Homes blog and you can find up to date expert advice on many markets throughout Canada, regular market reports, neighbourhood scoops in cities throughout the provinces, real estate deals and useful recommendations. Abbotsford, located in the Fraser Valley region of British Columbia, is one of the B.C. most agriculturally rich areas and sits 42 miles east of Vancouver. With a population of approximately 133,000 and an area spanning 145 square miles, Abbotsford is the largest municipality of the Fraser Valley and has been named as Canada’s most generous city for charitable donations for 9 years running. Agriculture is a booming industry in Abbotsford thanks to its rich soils of the Fraser River and the mountains. Farming forms a huge part of Abbotsford’s economy, particularly berry, vegetable, poultry, hog, and dairy farms and operations. Abbotsford is one of Canada’s most intensively farmed areas, and its agriculture supports and defines the city in many ways. Home to Abbotsford International Airport, Tradex, Abbotsford International Airshow and The University of the Fraser Valley, Abbotsford is very much a hub in itself. The city offers easy access to the U.S., with the border located just a few miles away. Abbotsford is incredibly multi-cultural and is the third most ethnically diverse city in Canada, after Vancouver and Toronto. This has fuelled significant economic growth and stems from an influx of migrants in the 1900s who worked in a number of industries. The city has an oceanic climate due and enjoys fairly hot summers and mild winters. It also has its own micro-climate due to the flat prairie lands, which creates incredibly fertile soil. With a number of gardens to stroll around, theatre shows, sporting events and outdoor activities, Abbotsford has something for everyone. The city also has an impressive selection of sporting infrastructures, such as ice rinks, indoor and outdoor courts, and playing fields, earning itself the name of “Sports Town”. Due to its central location, Abbotsford is also a hotspot for sports events, and trade and consumer shows are often held at Tradex which hugely supports the local economy. Popular trade shows include the International Air Show, which attracts over 300,000 visitors, and the West Coast Christmas Show. 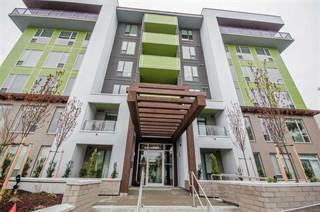 Commercial developments are more prominent in Central Abbotsford, but there are a number of apartment buildings, townhouses, and detached homes to choose from. The area is also home to Mill Lake Park, which is popular among walkers, hikers, and cyclists. East Abbotsford is comprised of a number of types of properties. The Sumas Prairie is home to a number of farms and large lots of land, McMillan is very desirable for families and has a variety of family homes, Sandy Hill is also popular among families and has a number of good schools, and Clayburn Village is a charming and quaint area with heritage properties. Newer areas include Mountain Village, Eagle Mountain, and Glen Mountain, which contain newer developments with beautiful views of the Sumas Prairies. Houses in this area are much more expensive than the rest of Abbotsford, many of which fall around the $1 million mark. Populated by both commercial properties and residential developments, West Abbotsford is a nice area with a range of family homes, executive homes, townhouses, and apartments. 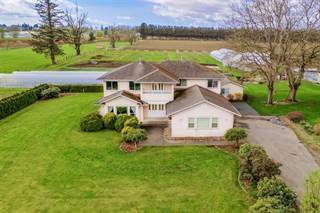 Pepin Brook is a rural area with many luxury homes set on a beautiful vineyard, Bradner occupies high land above the Fraser River, and Aberdeen offers varied real estate such as family homes, executive homes, farms, and starter homes. As one of Abbotsford most up-and-coming areas, the U-District is growing in popularity. Situated close to the University of the Fraser Valley, this area is due to expand in future especially among the student community. Abbotsford’s real estate market comprises a number of types of properties to suit all budgets. Houses are significantly more affordable than big cities such as Vancouver, and many opt for Abbotsford’s suburban and affordable lifestyle and commute to work. Roughly 60% of Abbotsford’s population work within the City of Abbotsford, while the remainder of workers commutes to surrounding areas such as Mission, Chilliwack, and Vancouver. The area offers bus and rail routes to other cities and is located close to the Trans-Canada Highway which offers easy access to other big municipalities as well as the U.S. border. The majority of dwellings in Abbotsford were built between the 1960s and 1990s, with a large proportion of homes being single-detached houses, followed by row houses and apartment duplexes. Roughly 75% of homes in the area are owned, and homes are generally larger with more land. However, Vancouver’s hot property market is beginning to have a knock-on impact on Abbotsford, with more families moving east toward more affordable cities in the Fraser Valley. Competition for rental housing is fairly strong due to lower vacancy rates and higher levels of homeownership. The Abbotsford School District administers roughly 46 of Abbotsford’s public schools, including elementary, middle, and secondary schools. The city also has a few private institutes, including St. John Brebeuf Regional Secondary, Mennonite Educational Institute, Abbotsford Christian School, and the Dasmesh Punjabi School. The University of the Fraser Valley is located in Abbotsford, with a number of campuses around the city and surrounding areas.